When my brother came home from Tagaytay, he had some pasalubong for us! 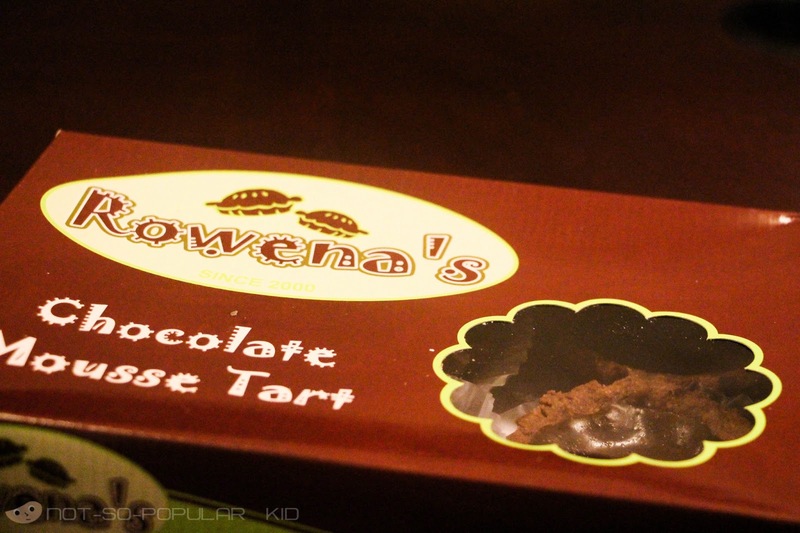 It was a Chocolate Mousse Tart, Ube Tart and Sylvannas from Rowena's, one of the famous food souvenir store in Tagaytay. 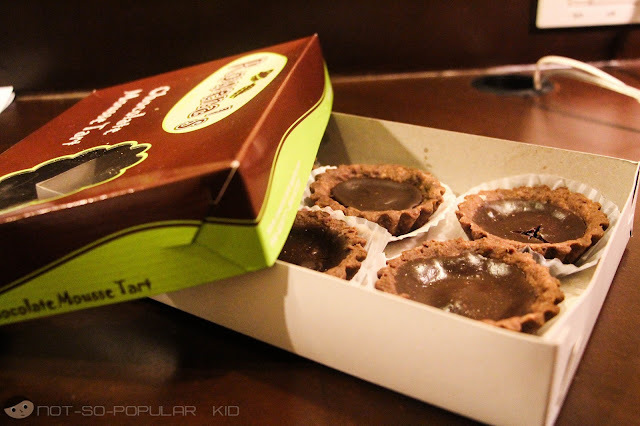 I'll keep this blog post short yet sweet (both figuratively and literally), so here's the snapshot of the Chocolate Mousse Tart at P200 (box of 6). This Chocolate Mousse Tart, just as the name tells, features chocolate mousse filling on top of a chocolate pastry base. The taste was fine which was obviously chocolaty but with a controlled level of sweetness. The texture for me wasn't that highly enjoyable which, I believe, contributed to the "suya" factor I experienced just after a few bites. 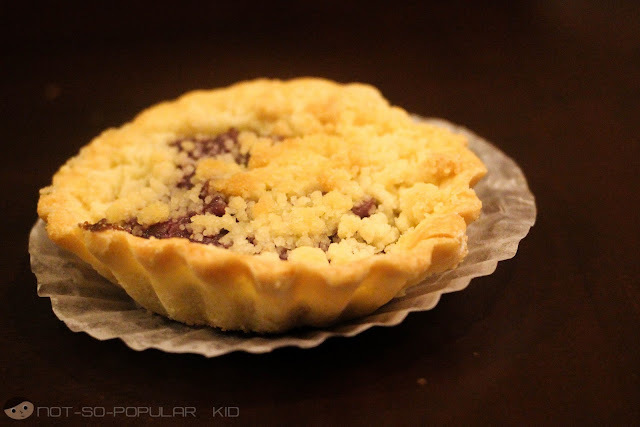 This Ube Tart, in my own opinion, was far better than the Chocolate Mousse Tart. 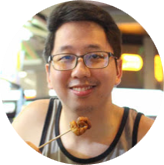 I was able to consume a piece without getting tired of the taste. The ube filling was rich and the pastry base went along with the taste creating an enjoyable mix of flavors. 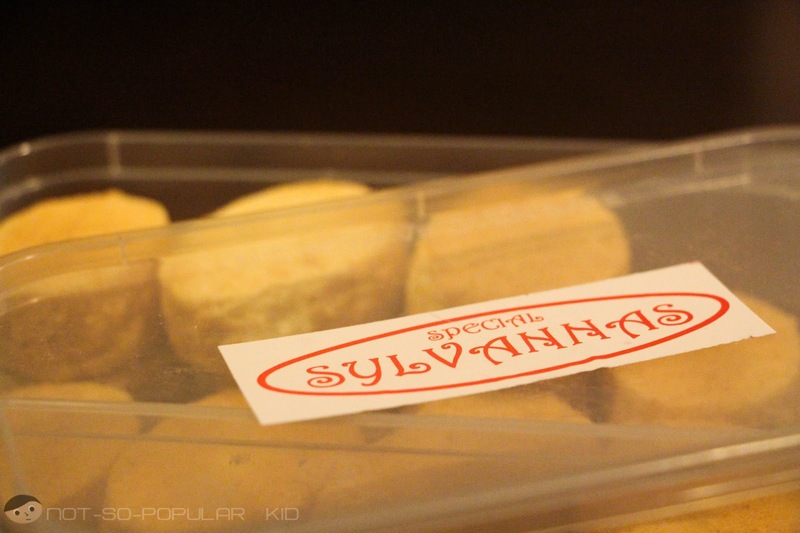 Before I give my review/comment on this particular dessert, I want to mention that I'm not fond of sylvannas. Having that said, I may not end up giving an accurate review. Anyway, I was just able to take one bite because I did not find delight in it. It felt like eating an icing which I'm not fond of as well. With the purpose of giving an unbiased comment, I asked my siblings about what they think of the sylvannas. Contrary to what I experienced, they enjoyed consuming these "lovely desserts" (that's according to them). 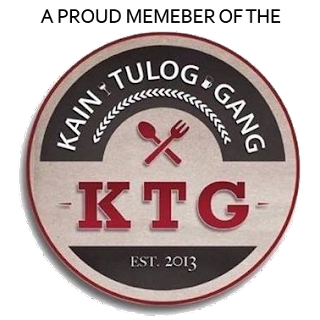 Starting the Day Right with Antonio's Breakfast in Tagaytay - Classy and sumptuous breakfast! That's nice to hear! 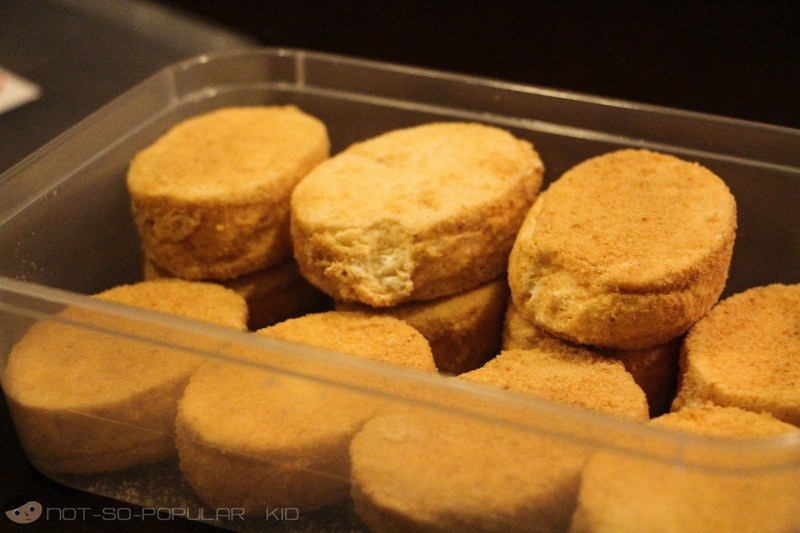 What's your favorite pasalubong in Rowena's? Next time any of us goes to Tagaytay, I'll make sure we'll have the buko tarts! Thanks for the recommendation Mich!